Pretend play is wonderful for building a beautiful imagination. 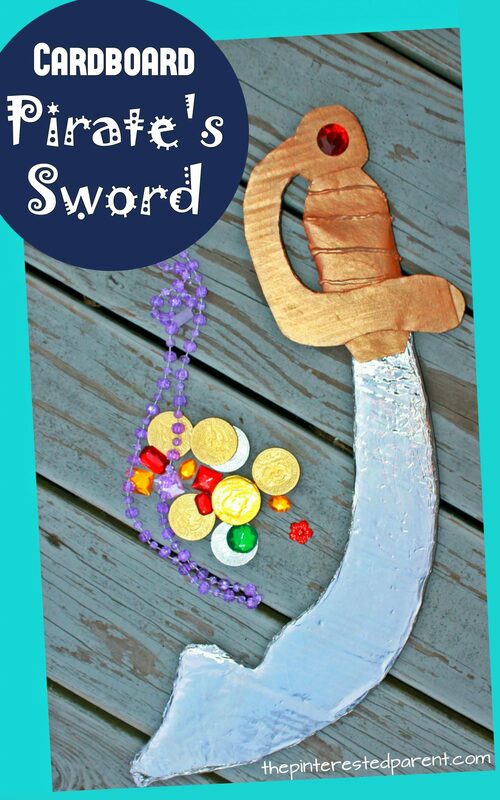 This cardboard pirate’s sword is perfect for the little swashbuckler in your life. It was pirate week at my daughter’s preschool last week. She came home with an eye patch that they made in her class. For the past week, our home has been filled with “Args and “Aye Mateys”. My stairwell has been turned into a pirate ship and my daughter has turned into an adorable swashbuckler. She made a pink skull and crossbones flag, drew a skull and crossbones on an old cowboy hat and even broke out a pair of snow boots because, well… pirates wear boots. My little girl transformed into a pirate. She explained to me that all she was missing was a parrot and a pirate’s sword. I was up definitely up for the challenge of outfitting my imaginative little pirate. If it is a sword that she needs to battle the high seas, than a sword she will get. 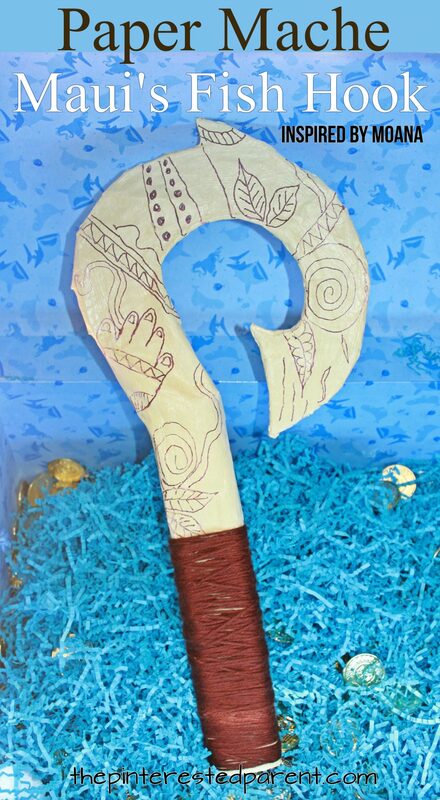 Every Maui fan, needs a magical fish hook. Use recyclables to make this fun Moana inspired craft for pretend play. Have your kids seen Moana yet? If they haven’t, I definitely recommend watching it. It is a great movie about a headstrong teen that is drawn to the ocean. The music in the movie is beautiful and so catchy. I find myself singing the songs all of the time. If your children have seen it, I am sure that you have heard Maui ‘s ‘You’re Welcome’ sung about a thousand times. Maui is my daughter’s favorite character from the movie. She loves him, but as Maui tells you himself, he is nothing without his fish hook. That is where all his magic is. I used to love in old cartoons when the characters would fall in love and their eyes would bulge out of their heads filled with hearts. This would always crack me up. With Valentine’s Day coming up, I thought that these love goggles would be a quick and fun project.